Did you know that in a day 2 million blog posts, 294 billion emails, and 864 thousand hours of video are created? Did you also know how crucial it is to write compelling headlines because 80% of readers never make it past the headline? According to some sources, on average, 8 out of 10 people will read headline copy, but only 2 out of 10 will read the rest. 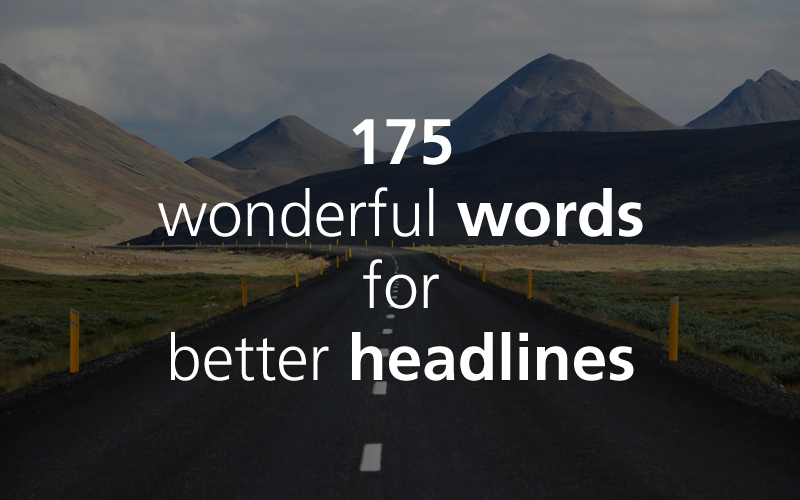 In order to create better headlines, we had prepared list of 175 powerful words which are as follows. Please use them wisely and attract your targeted audience. Did you find this post useful? Please share your comments below.